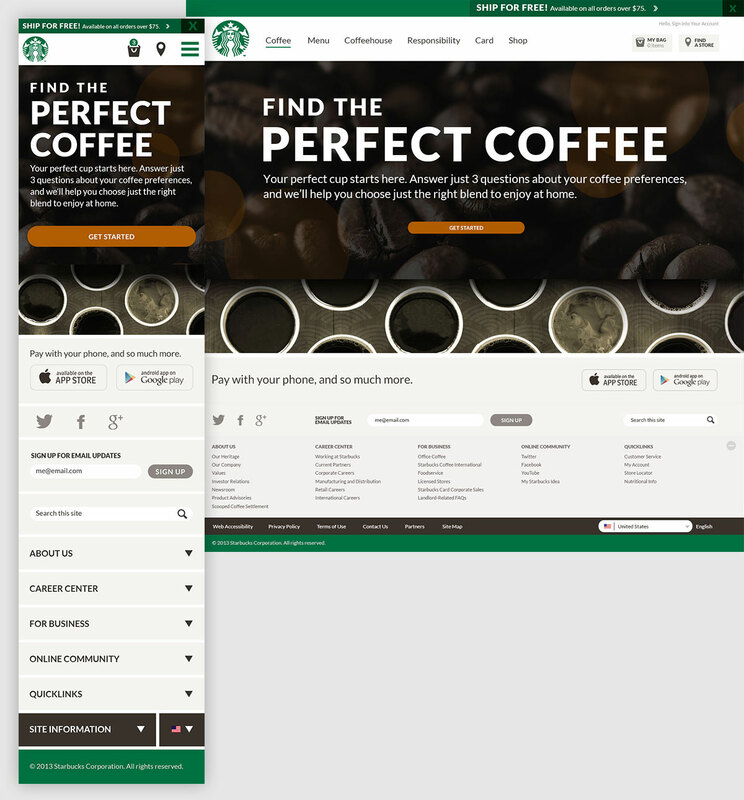 The Coffee Finder is a product discovery tool that helps people figure out what kind of coffee they like, fast. 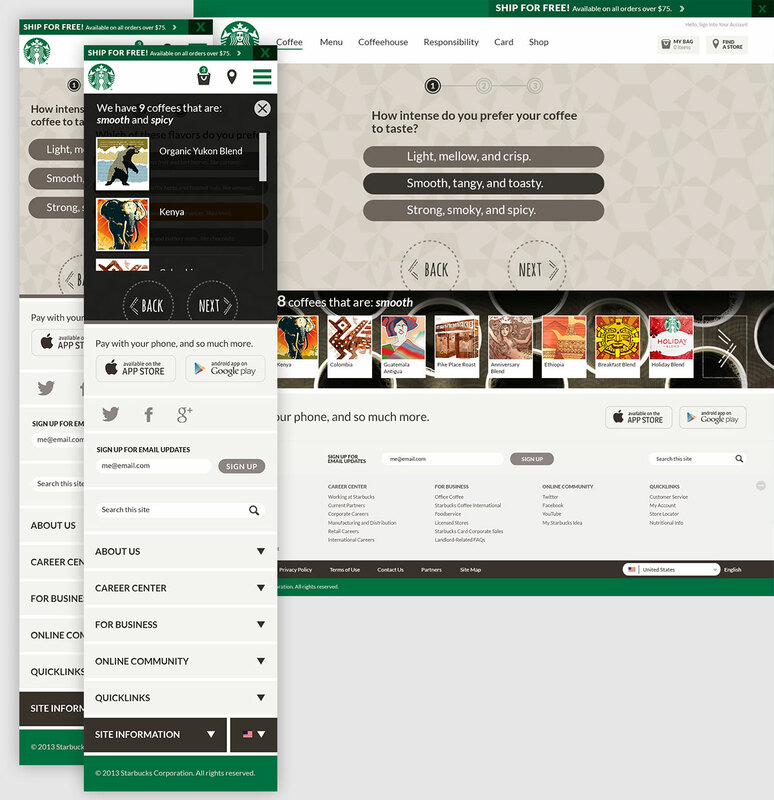 Part of an overall redesign for the Starbucks retail site. The list of coffees that match your criteria is whittled down as you go through the quiz. 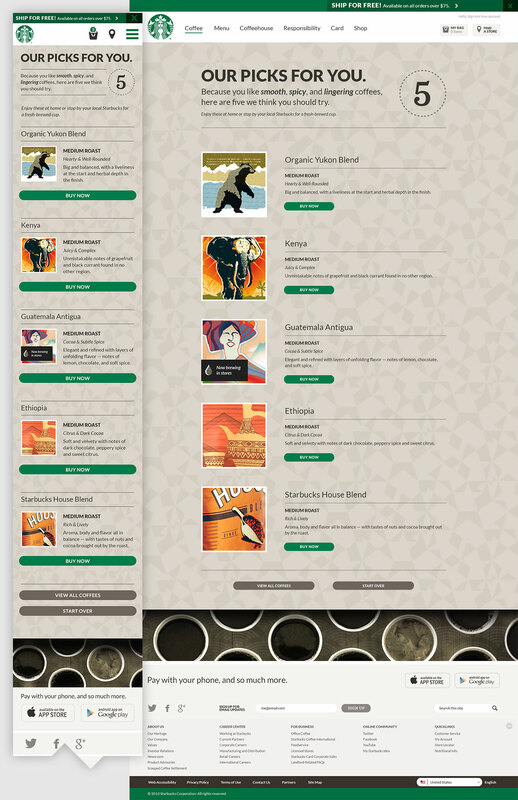 On mobile the list can be called up into the main content area and scrolled, as illustrated here.